Home Minister Asaduzzaman Khan on Sunday said around 43,000 alleged drug traders and carriers are now there in different jails across the country. “Presently, the number of total detainees and prisoners in the country’s jails has risen to nearly 90,000 against the total capacity of 37,000. Of them, 43,000 are drug traders and carriers,” he said. 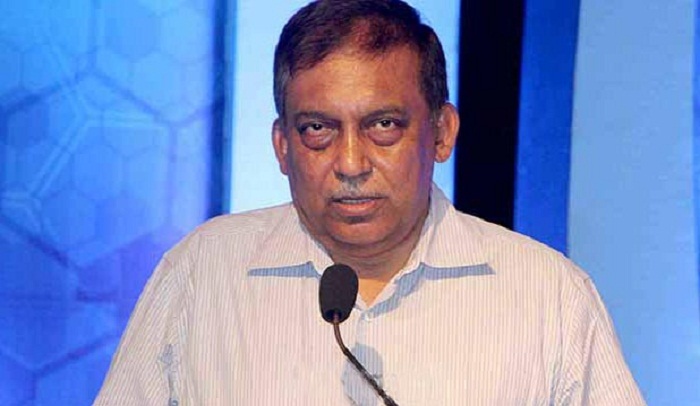 The minister was addressing a programme to inaugurate an anti-drug television commercial (TVC) titled “Cholo Jai Juddey, Madoker Biroddhey’ (Let’s go to war against drugs) at the Karwan Bazar media centre of Rapid Action Battalion (Rab) in the afternoon. Among others, Public Security Division Secretary Mostafa Kamal Uddin, Protection Service Division Secretary Farid Uddin Ahmed Chowdhury, Inspector General of Police (IGP) Dr Javed Patwary and Rab Director General Benazir Ahmed addressed the function. The Home Minister said Rab arrested around 71,000 people till June this year since it started operations on April 14, 2004 for their involvement in drug trading. He said now the challenge is to control the illegal drugs in the country anyway. “We’ve waged a war on drugs taking a ‘zero-tolerance’ policy. We’ll root out the menace like militancy,” he added. The elite force has taken programmes to create awareness against drugs as they earlier created awareness against militancy in society, Asaduzzaman said. “The launching of the anti-drug TVC is part of its efforts to create mass awareness,” he said. Earlier, in his opening speech, the Rab chief said the Prime Minister directed them on May 3 last to launch a special operation against drugs. The Rab started its anti-drug operation from the same night and arrested around 10,000 drug traders and carriers, he said. Of them, 5,877 were punished through mobile courts while 1,713 cases were filed against 2,959 others and a fine of Tk 40 lakh was collected from 1,083 others during the period, Benazir added. A total of 1,791 operations were conducted since May 3 night, he said adding that 47 listed notorious drug traders were killed during gunfights with Rab in 37 big ant-drug operations. Though there is no specific statistics about the number drug addicts, it is predicted that the number is around 60-70 lakh, the Rab chief said. All stakeholders and people have to come forward alongside the law enforcement agencies to curtail the demand of illegal drugs, he said. Mentioning that huge transactions are made towards Cox’s Bazar through mobile banking every day and many of them are believed to be related with drugs, Benazir called for suspending the Cox’s Bazar-bound transactions for two months.